I’m really happy with this new discovery. 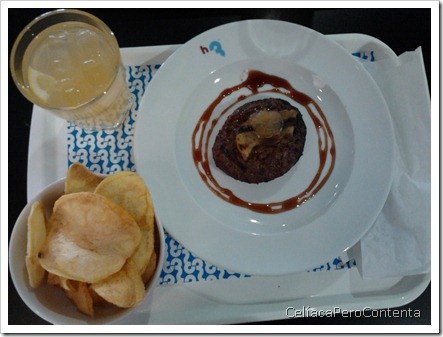 At Kinépolis in “Ciudad de la Imagen” (Madrid) there’s a very original hamburger restaurant with many gluten-free options. 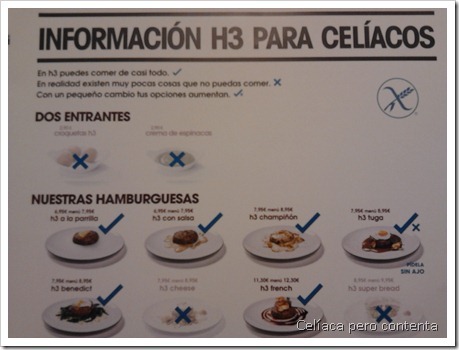 Its name is H3 New Hamburgology. It’s a Portuguese chain with restaurants in Portugal, Spain, Poland and Brasil. It’s not the typical fast food burger place. They serve 200 gr. burgers without bread but with lots of style. A side dish of rice or “home made” chips is included. There’s optional bread but is not gluten-free. To drink you can have sodas or fresh and natural lemonade or ice tea with lemon. We have been there twice so far. The first time I had the H3 French that includes foie gras, caramelised onion and wine reduction sauce, chips on the side and Iced tea. The first time we were there gluten-free desserts were not available, but now they are, mostly based on ice cream and yogurt. Another cool thing about this restaurant is they are open and serves food from 13:00 until 23:30, not kitchen closing or anything and that’s something hard to find in Spain. 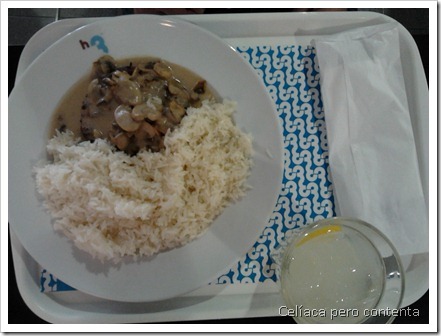 They now also have a restaurant at Diversia (Alcobendas, Madrid). We really liked the place. Let’s see if this new way of eating burgers succeeds. We hope so.